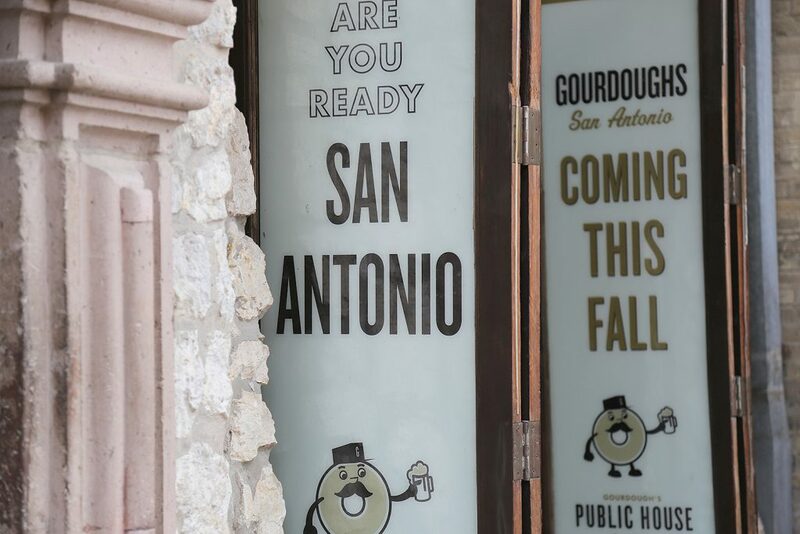 Austin-based Gourdough’s Public House, known for its eccentric donut-based dishes, is scheduled to open on the River Walk on Feb. 23. The restaurant will occupy a 7,000-square-foot space formerly home to La Paloma Riverwalk Parrilla Grill at 215 Losoya St.
Gourdough’s does brunch, late-night eats and everything in between. 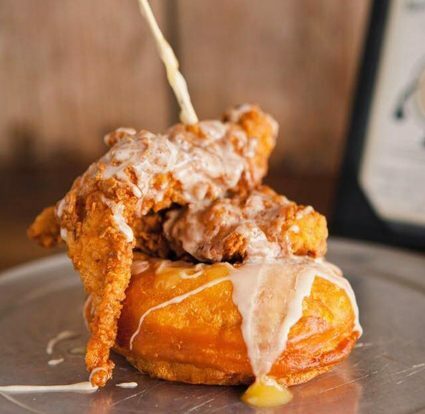 Dishes include the Mother Clucker, which is fried chicken breast and honey butter on a donut. 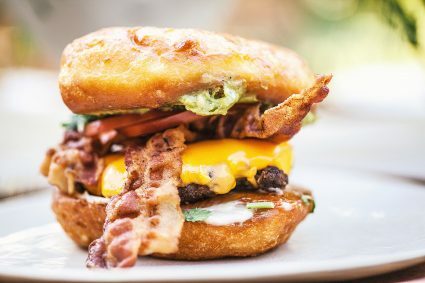 The Ron Burgundy is a donut beef burger accompanied by a fried egg, bacon, American cheese, cilantro and guacamole. 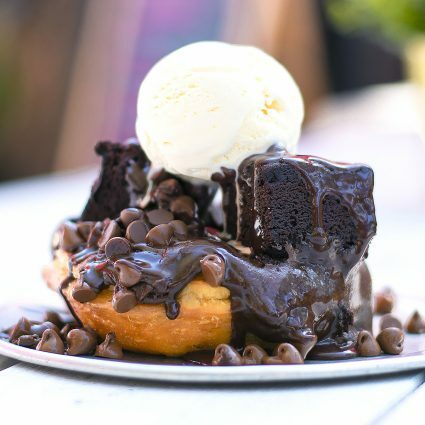 On the dessert side of the menu is the Black Out, a classic donut topped with brownie batter, fudge icing and chocolate-covered brownie bites. “We’ve added some donuts that will have a real San Antonio flair,” co-owner Ryan Palmer told the Heron in December. Palmer and Paula Samford launched Gourdough’s in Austin in 2009 by offering late-night donuts out of an Airstream trailer. The success of the trailer leads to a brick-and-mortar location on South Lamar Boulevard. Hours of operation will be 11 a.m.-midnight Monday-Thursday, 11 a.m.-2 a.m. Friday, 10 a.m.-2 a.m. Saturday, and 10 a.m.-midnight Sunday.